Have you ever wished that you could live like a baby for the rest of your life, or at least through some of the more difficult parts of adulthood? For instance, if you had a big presentation to give to your bosses that you didn't want to prepare for, you could instead throw up on the conference table and cry on the floor. Or, if you had tax forms and insurance applications to fill out, you could throw the troublesome paperwork down the hallway, and eat some bugs instead. Honestly, they both sound like equally good uses of your time! 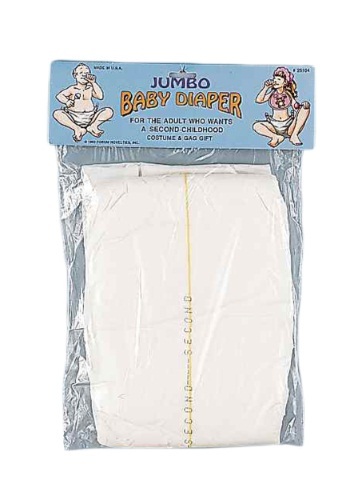 Wouldn't it also be nice to be able to wear giant diapers on a regular basis? Maybe not all the time, but during long flights or overnight gaming binges? Too far? 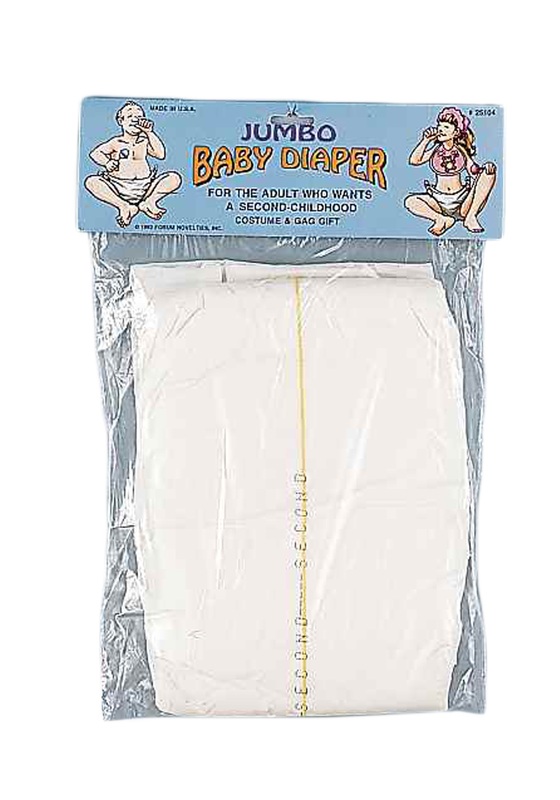 Okay, well you can at least wear these Adult Baby Diapers for your giant baby costume! This is a great accessory for people who need a break from grown-up life, and want to regress to their baby days for a little mental vacation. Just don't get too used to it, you still have to go back to work on Monday!